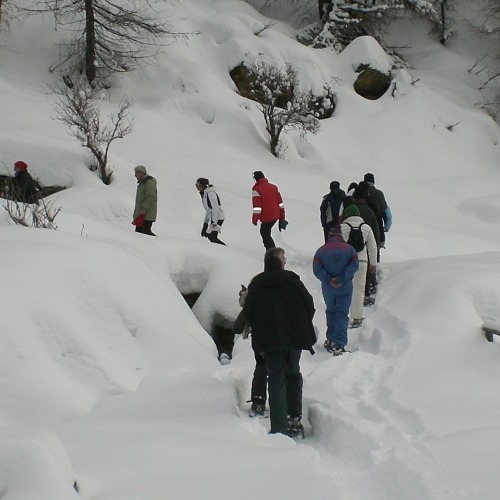 An ancient traditional sport (and before that a mean of transportation in the Scandinavian countries) the cross-country skiing has a well-established presence in Ponte di Legno: the Val Sozzine ski center, easily accessible and near ample parking lots will charm you with the evocative atmosphere of its snow-clad fir woods. ; if you feel up to a little car drive you may also choose to go to Val delle Messi, where practice cross-country skiing in the awe-inspiring panorama of the Stelvio National Park. [Val Sozzine ski center; open from 8 a.m. to 4 p.m from December to March; locker rooms, showers and rental shop available.